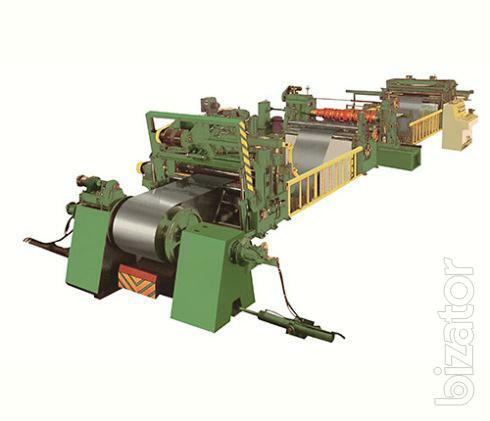 This machine can slitting the steel coils of standard width to length and putting in the package. These tapes can be a material for rolling welded pipe and cold bending press. You can change cutting tools for cutting different materials. Standard: charging cart, uncoiler, feeder, virovskaya machine(guillotine for sheet), slitting shears (emergency house), Crocodilewater device for the distribution of materials, ranges of the unloading trolley, hydraulic system and electro-pneumatic system. This electro-pneumatic system uses imported PLC controller and touch screen. Main motor of the slitting shear is DC from company Eurotherm Corp, which has the features of high automation, good quality of straightening, high precision cutting, reliable and stable performance, and easy operation and repair etc.